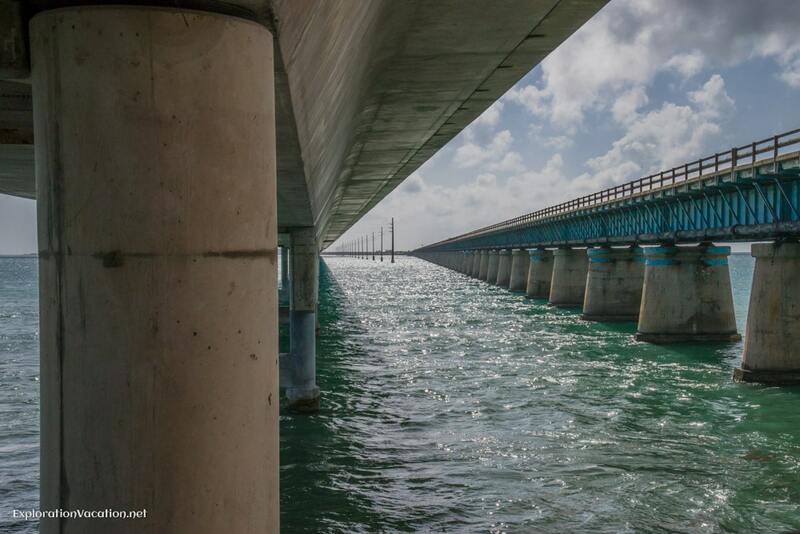 The Florida Keys are linked by series of bridges, the longest of which is the Seven Mile Bridge between Vaca Key (Marathon) and Little Duck Key. There are actually two Seven Mile bridges, a modern highway bridge that spans the entire seven miles and a historic bridge that is missing a section. While you can’t drive on the old bridge, you can walk and bike on some of it. The view is lovely, with water all around. The old bridge is interesting itself, as it started life as a railroad bridge and the rails were used to construct the highway bridge. But I like looking at the bridges from land. The best place to view the bridge from the ground is probably Pigeon Key, but getting there is a bit of a challenge. Since it was already late in the day when we reached the bridges, we simply stopped to admire them from the Marathon end where we could also enjoy drinks and snacks at the Sunset Grille. You can see the bridges right from the restaurant, but the best view is just down the path where you can get right underneath the newer structure. Not a bad way to end our too-short day trip to the Keys. 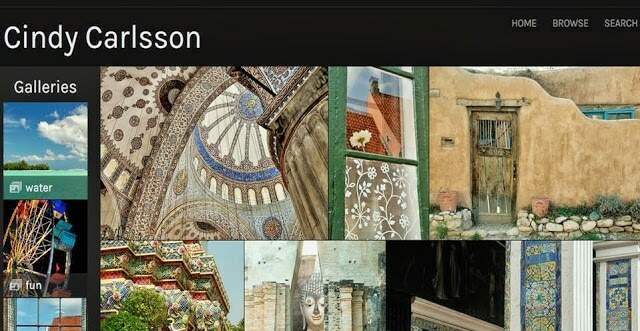 This post is linked to Travel Photo Thursday at Nancie’s Budget Traveler’s Sandbox, where a world of images awaits. I’m a fan of both too, so it seemed like a good time to shoot even with the difficult light. Thanks for providing the opportunity to link up.